Learning fractions can be incredibly challenging for students. But visuals make understanding them so much easier. 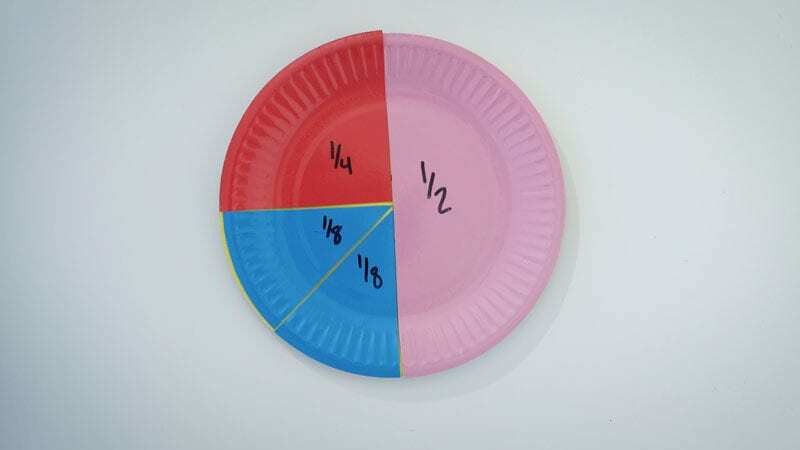 While we love using pool noodles to teach fractions, paper plate fractions are another great alternative. 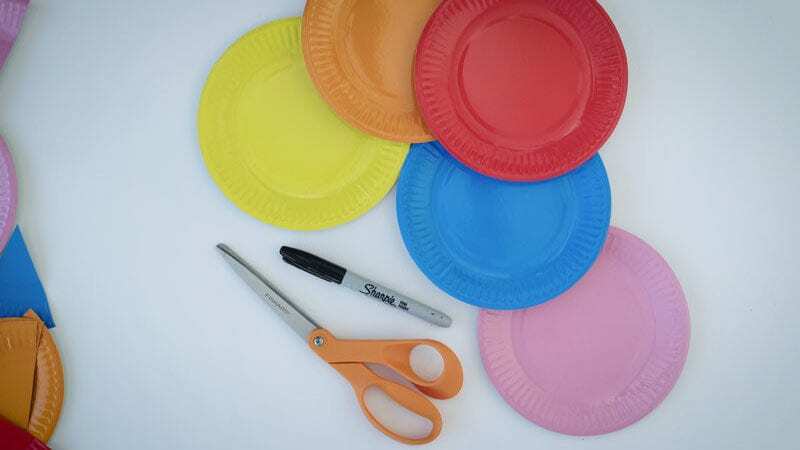 We found this assortment of colorful paper plates on Amazon , giving us several different colors in a single order. Then it was easy to cut them up to represent different measurements. Take a look at the video to see how it all came together and then get our instructions to make your own. 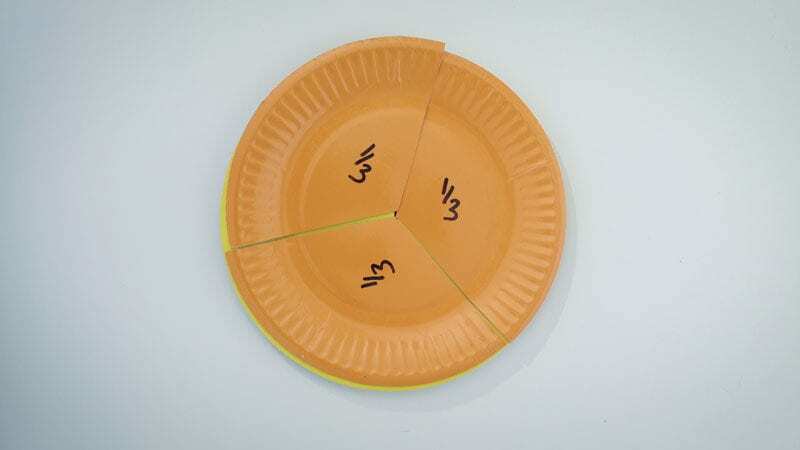 Once you’ve decided how you will divide and label the paper plates, measure and cut. You want your measurements to be accurate so students can mix and match pieces when practicing fractions. The final step is to clearly label all the pieces of your plates. We suggest making the labels nice and big on the front of the plate. As an added challenge, you could label them on the back instead. Then test them out by encouraging your students to mix and match their measurements to get to a whole. 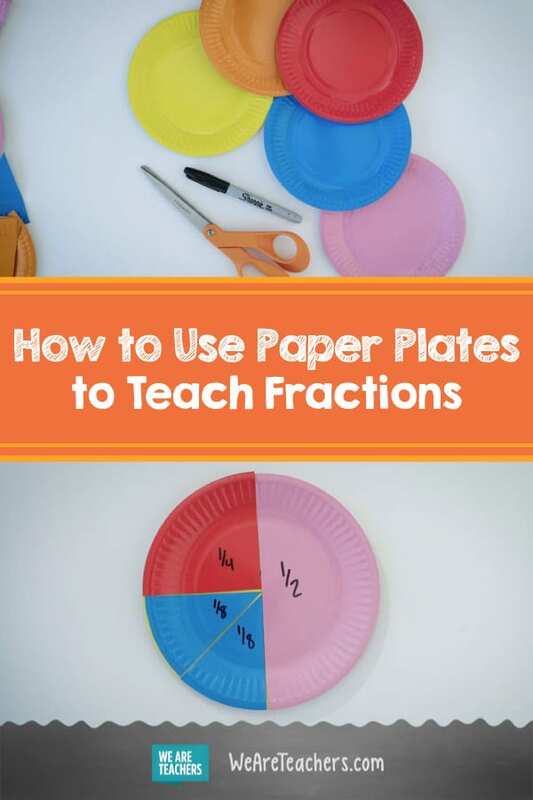 Have you tried paper plate fractions? Have another creative way to teach this tough concept? Come share in our WeAreTeachers HELPLINE group on Facebook. 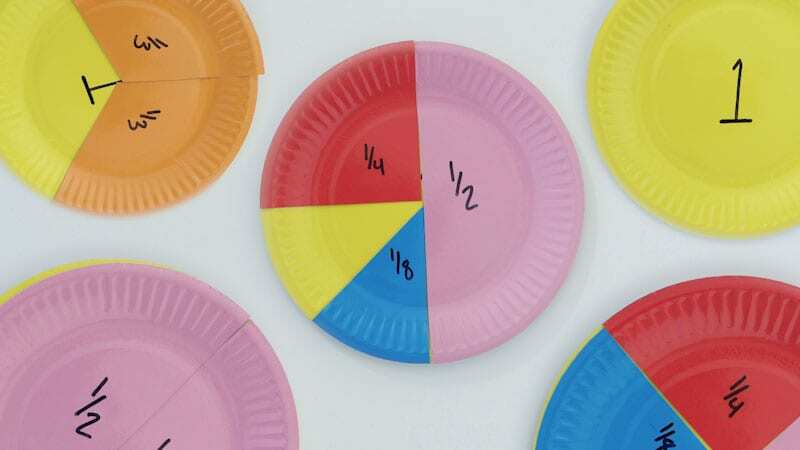 Plus, check out these fractions games to try in your classroom.